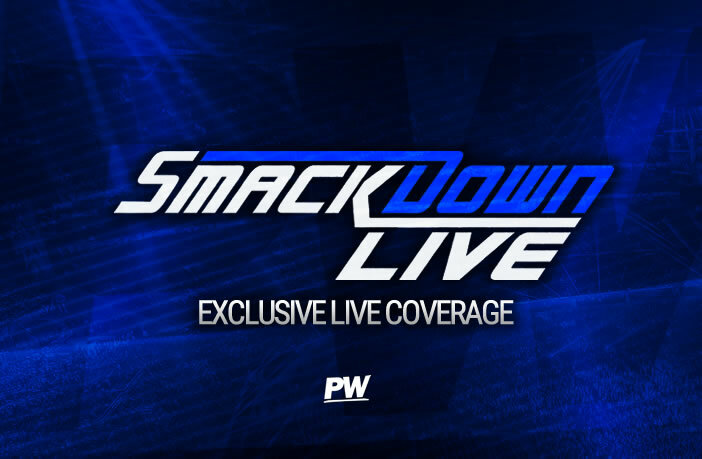 We kick off tonight’s SmackDown Live with none other than, The Man, who makes her way out a fantastic response from the WWE Universe, as expected. Lynch says that it is good to be back in town and that there is nothing she likes doing more than standing and fighting, but she has something to say. Becky says that it wasn’t long ago nobody was paying attention to her, but now everyone is concerned about what The Man should be doing and saying, but the only thing she thinks The Man should be doing is main eventing WrestleMania. She states that the journey believes in five days at the Royal Rumble against Asuka and Lynch praises her but states she is better and reminds everyone that Asuka never beat her for the title. Lynch says Asuka and the other women have been warming themselves on the fire she lit, but that all stops this weekend. Asuka has heard enough, the champion is here! The champion walks around with the title in her hand, goading Lynch but before she speaks they are interrupted once again, this time by Charlotte Flair. The Queen says she is enjoying listening to this, but nothing will be more exciting than when she wins the Royal Rumble. Charlotte says she has so many choices then, with Sasha Banks who she has beaten so many times, Ronda Rousey who she thinks still has bruises from her kendo attack, Asuka, whose streak she ended last year and then Becky, who may have owned her, but she has owned the division the last four years and she is the main event. Then out of nowhere Asuka decides to attack Becky from behind and the two women begin brawling inside the ring and ringside area until they are pulled apart by WWE officials whilst Charlotte Flair walks away looking proud of her work. We then return from a commercial break and are taken backstage where Lynch and Asuka are still brawling with the officials struggling to contain them. Naomi doesn’t waste any time here, chasing Mandy Rose onto the ring entrance and starting the fight straight away, ensuring that Rose gets involved in the match, slamming her head first into the ring apron before a few swift punches and backhands send her out of the ring. Back from commercial and Mandy Rose is in control of the match, stomping on her rival whilst trash talking her, but Naomi manages to bounce off the top ropes to catch Rose with a major kick to the face to even the odds as she then sends her flying across the ring. Naomi then rocks Rose with a forearm but she accidentally falls into the referee which allows Sonya Deville to provide a distraction to which Rose slams Naomi head first into the ring post, allowing her to pick up a quick, cheap victory.